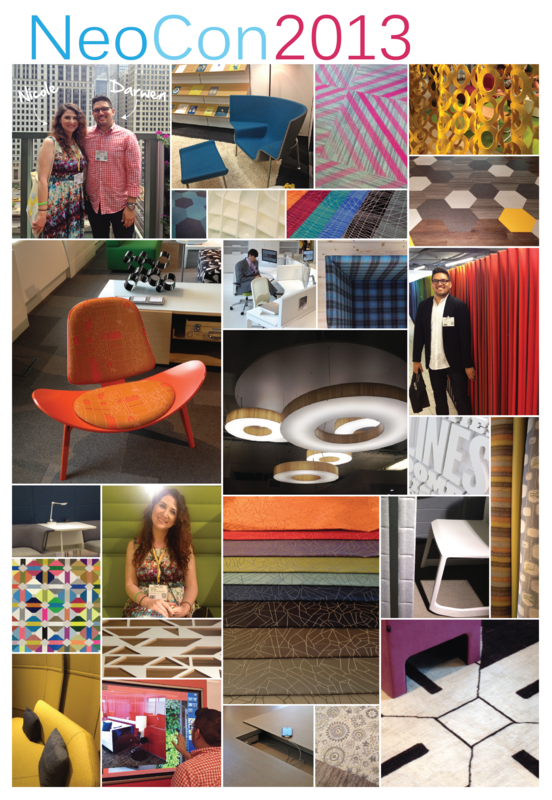 Nicole and Darwen, Interior Designers at BAM, recently came back from a trip to Chicago where they attended NeoCon. NeoCon is a yearly event where vendors show off the latest and greatest in products for corporate, hospitality, healthcare, retail, government, institutional and residential interiors. 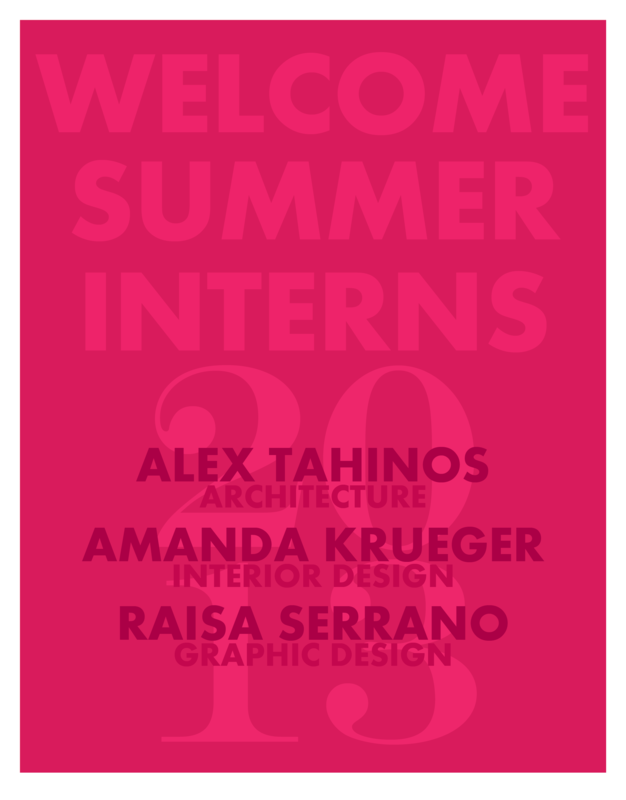 For anyone working in the industry, this event is an important resource, as the field of interior design is constantly evolving. Back in New York, Darwen and Nicole shared with us their new-found knowledge of everything from the fun (kinetic benches, anyone? 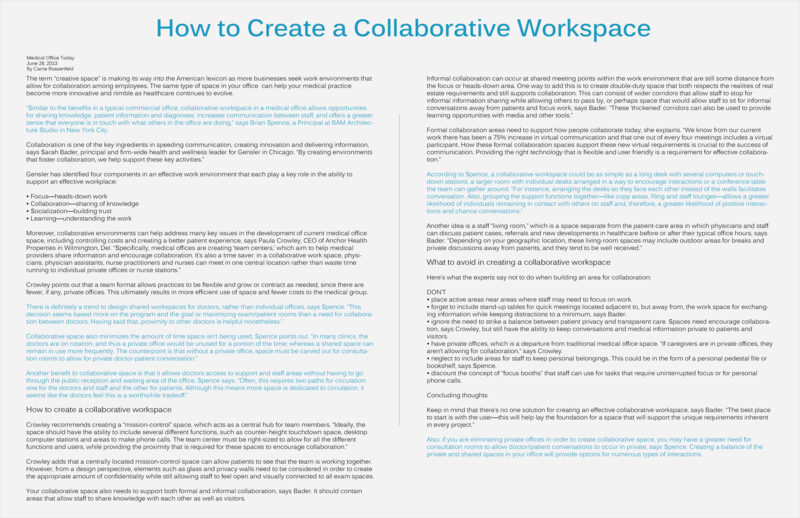 ), to the practical (collaborative desk systems), to the interactive (wall-sized touch screens). The School for Visual Arts and Humanities at the Robert F. Kennedy Community School welcomed BAM’s Brian Spence into the classroom to talk about the field of architecture. 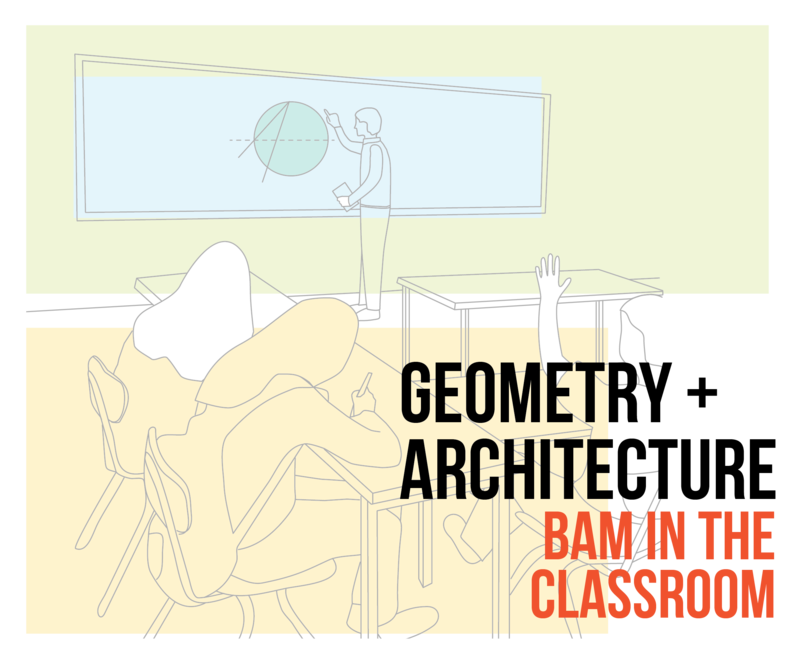 Besides discussing what an architect does and how to become one, Brian spoke about how the geometry the students learn in school relates to the world around them. He showed the students how basic shapes translate into architecture, such as the Pyramids and the Pantheon, as well as how ratios found in nature can also be found in the built environment. The Robert F. Kennedy Community School is a complex of six pilot schools, located at the site of the former Ambassador Hotel in Los Angeles. It is the most expensive public school ever built in the US and currently houses over 4,000 students. 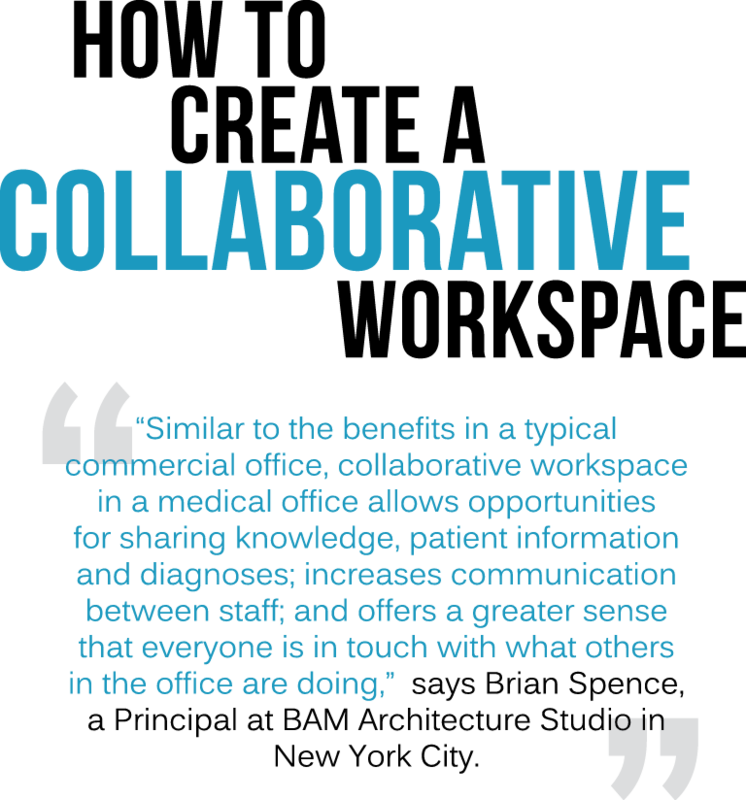 Brian Spence, of BAM Architecture Studio, speaks to Medical Office Today about the benefits of collaborative workspaces in the healthcare environment. If you are a subscriber, read the article here or click below for the full text.